It is expected that significant increase of earthquake activity will be with us on 10th April 2019. There are many parameters converging but here is an account of my own analysis for it. On the day the planets geocentrically will be positioned as shown above. The Sun will be opposite Pallas both square Pluto-S Node conjunction. This is highlighted by grey circles above.The Moon and Mars (slower) will be triggering this configuration as shown in red. At the sam time Mercury squre with the Moon is sextilw to the Pluto-S Node conjunction. 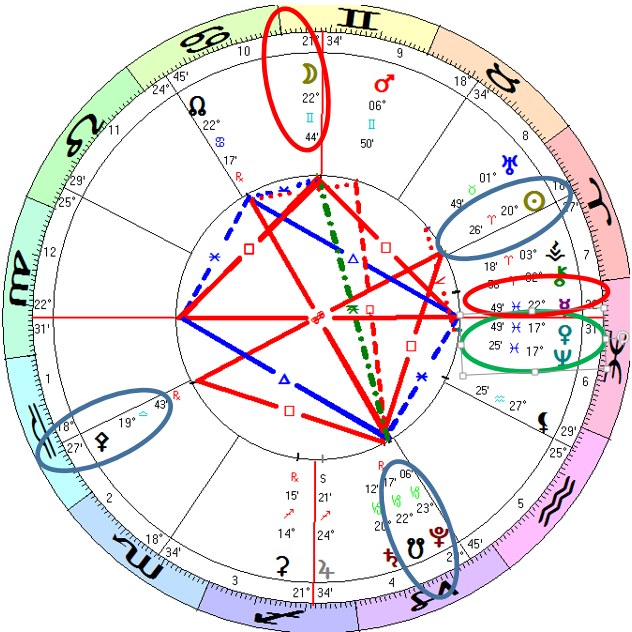 Worth Noting however the Venus-Neptune conjuction (in green) aspecting also Pluto-S Node. I expect therefore something about 6.5-7.0R on this day if the analysis is correct. The countries suspect of those aspects cane be Philippines, Japan, Solomon Islands, Chile, Panama, Hawai, Afghanistan and Pakitan for example. Be Safe Be Good. You can read about our methodology here.